Carnival City’s Big Top Arena will be abuzz yet again this Easter weekend as the multiple award-winning gospel ensemble, MTN Joyous Celebration launch their 23rd album tour. This Gospel music feast will take place on the 19th, 20th and the 21st of April 2019. When the founders of this world-acclaimed group conceived their very first show in 1994; it was to celebrate the South Africa’s smooth transition to democracy. In 2019, their bold and daring 23rd offering is filled with creative elements and adventurous musical expression, driven by the two young Musical Directors in the name of Mnqobi Nxumalo and Sphiwe Ngcobo. 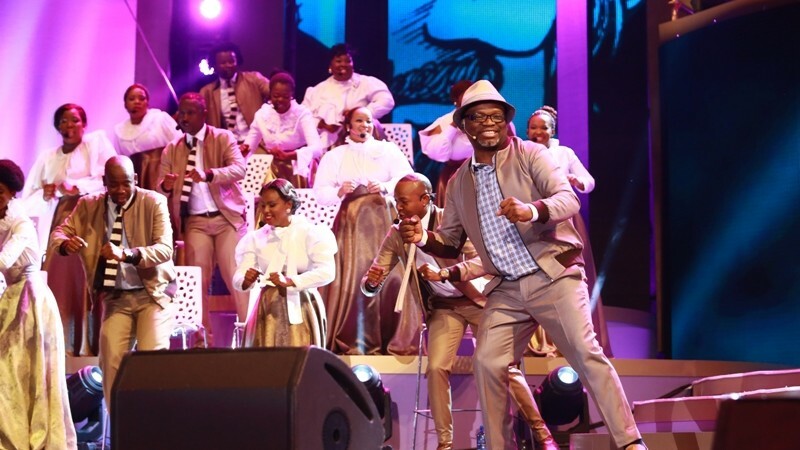 MTN Joyous Celebration’s music has become a soundtrack in the lives of many South Africans over the years. People are able to remember specific times when specific songs carried them through hard times in their lives, as well as songs that helped them celebrate good times. The award-winning musical ensemble has had a remarkable journey with their official sponsor, MTN, with the company having been a part of the Joyous family for 13 years. Jacqui O’Sullivan: Executive for Corporate Affairs at MTN says: “We are excited and looking forward to be a part of this year’s MTN Joyous Celebration Tour 23, which kicks off during the Easter weekend.” She also asserts that MTN strongly believes in supporting and showcasing South Africa’s musical talent and promoting music that exposes more South Africans to the many different genres that exist across our diverse nation. The continued partnership with the Joyous Celebration brand, allows MTN to bring customers and fans closer to their passions, enabling greater access, engagement and connectivity to the things they love. In line with the MTN Joyous Celebration’s ethos of grooming young talent, this year’s choir outfits were designed by up and coming designers. This has opened an opportunity for young and talented South African designers to showcase their gifts and skills on a big platform such as the MTN Joyous Celebration stage. The stage design for Joyous 23 is put together by a team that always pursues freshness in terms of look and feel of the set. The fresh depiction of musical elements incorporated in the design befits the brand stature as pathfinders in live-show staging. Some of the new and innovative elements included in Joyous 23 augment the “old” songs that Joyous fans have come to love with contemporary sounds and rhythms. “There is something for everyone – from songs sung in charismatic churches to the audience that is looking for traditional church songs sung in the mainline churches or Zion churches,” says Hlongwane. “Similarly, those who are younger and are up to contemporary upbeat songs are definitely catered for in this album. These combined elements promise a masterpiece to feed your ears, get you tapping your feet and singing along while you define your own freedom through the music,” he concludes. Tickets are available at Computicket and Shoprite / Checkers starting from R200 per ticket. Patrons are encouraged to buy tickets early to avoid disappointment. For more information about Joyous 23, visit www.joyous.co.za.